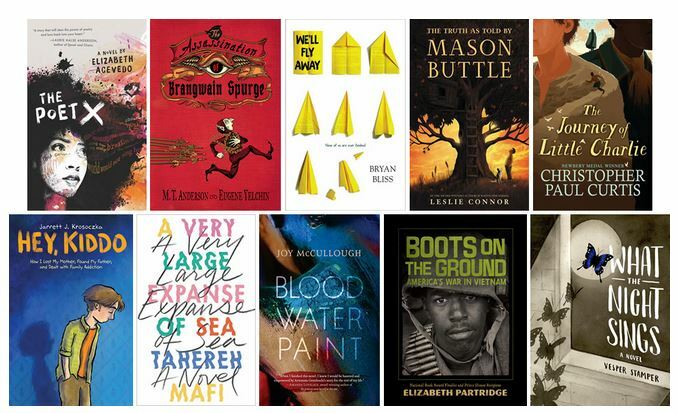 The National Book Award organization recently announced their longlists for the selected categories of literature. Here are the ten books on their longlist for young people. The winners will be announced on November 14, 2018. Some I have read and some I haven’t even seen yet. Time to go to the library! You can challenge the young people in your community to vote on the title they think will win and display the local winner in your library. Or, you can ask them to vote for their favorite title in the Teens’ Top Ten event by October 13!